Moscow (AFP) - Russian President Vladimir Putin and his Turkish counterpart on Monday discussed a missile deal slammed by the US as well as closer military cooperation during a visit by Recep Tayyip Erdogan to Moscow. The two sides must "strengthen cooperation in the military-technical sphere," Putin told Erdogan as they met in the Kremlin. 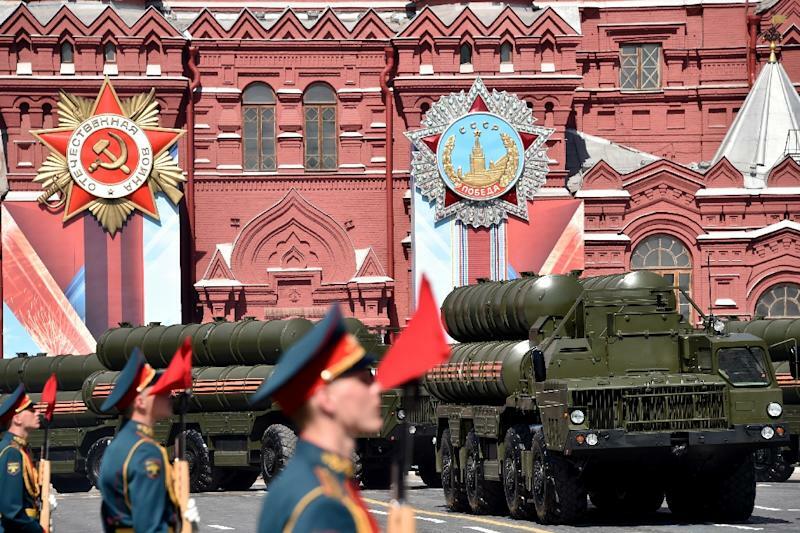 "These regard first of all the completion of the contract to supply S-400 anti-aircraft missile systems to Turkey," he said. "There are other promising projects on the agenda related to the supply of modern Russian military products to Turkey," Putin added. NATO member Turkey's missile deal has tested its already soured relations with Washington. The US has put a freeze on its joint F-35 fighter jet programme with Turkey in protest. Last week, US acting Defense Secretary Patrick Shanahan said he was confident Turkey would drop the plan and buy the US Patriot system instead. Erdogan has said the S-400s are needed to protect Turkey's borders. He said he turned to Russia because no acceptable US missile deal was available at the time. The first S-400 delivery is expected in July. The pair also discussed Syria, where they have backed opposite sides in the eight-year conflict but have been working closely to end the fighting. Putin said they were unable to reach an agreement to set up a monitoring centre in Syria's jihadist-held Idlib region, agreed at a summit in Sochi in February. "We have so far not been able to create the monitoring centre," Putin said. "But I am sure that we will do this." Russia, which supports Syrian President Bashar al-Assad, and rebel backer Turkey in September inked a buffer zone deal to prevent a massive regime offensive on the Idlib region, near the Turkish border. On Sunday, 13 civilians died in bombing in Idlib. Along with Iran, Russia and Turkey have positioned themselves as key foreign players in Syria's long-running war. Erdogan is on his third visit to Russia since the beginning of this year.